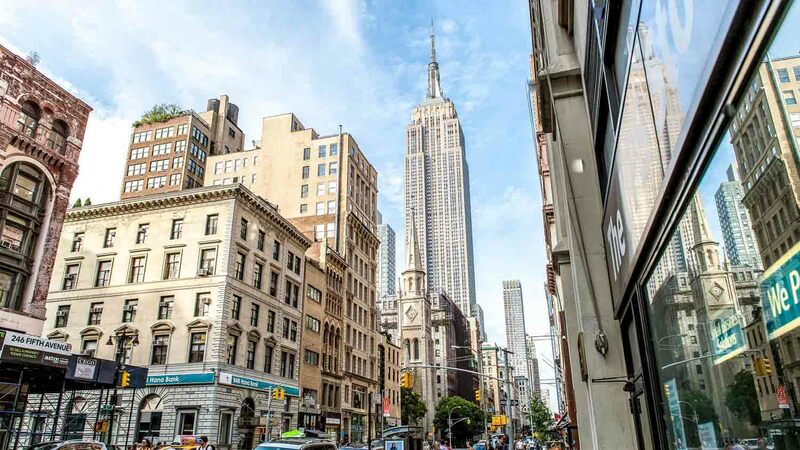 Manhattan would not be Manhattan without its beloved Empire State Building standing tall above the city. We guarantee you'll fall in love with New York the moment you look up and first see it. Here are the very best vantage points. 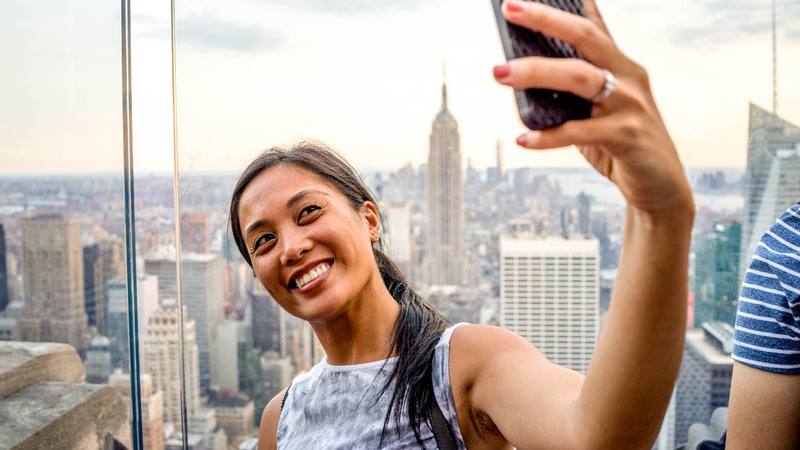 Should you go to Top of the Rock (Rockefeller Center) or Empire State Building to get the view? At the Top of the Rock, you get to see the Empire State Building as part of the view. Simply the best. Head to the Flatiron Building and stroll through Madison Square Park. Stand in the pedestrian island on 5th Avenue at 22nd Street, and you’ll have your picture perfect photo. 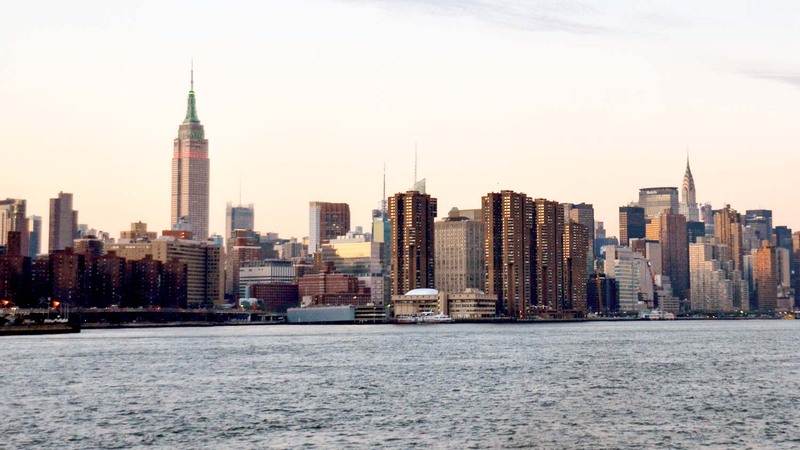 Book a cruise around Manhattan, and you’ll get a panoramic view, seeing just how beautifully the Empire State Building stands out among its surrounding skyline. In Williamsburg, Brooklyn, the beautiful East River State Park provides some of the best skyline views of Manhattan. Bonus: the park holds food and flea markets on the weekends. 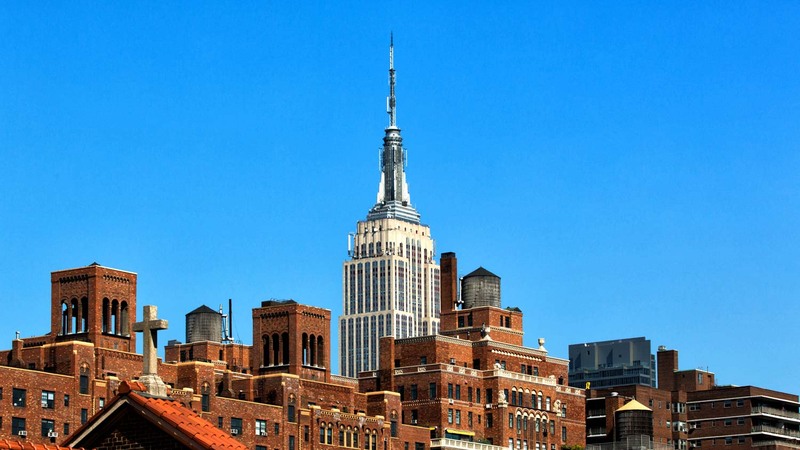 Head to the Empire State Building itself. 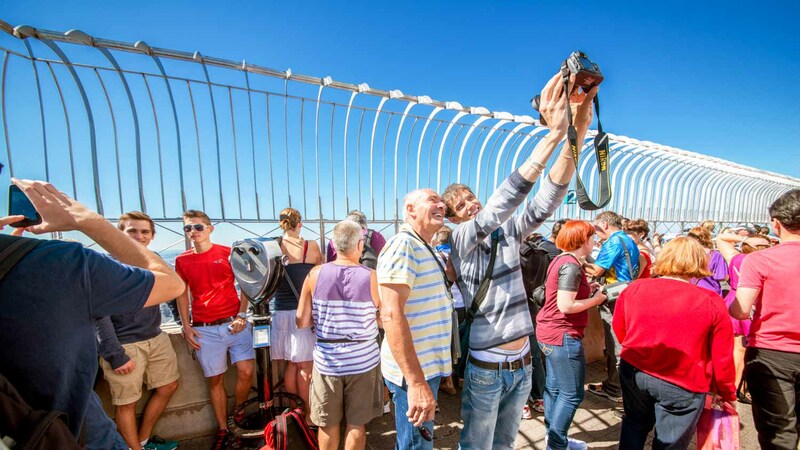 Astounding views of Manhattan await you from the observation deck. It will take your breath away, we promise. The views will be astounding day or night. If you go at night, you get the romantic city lights all around you. But by day, you get to see the geography and outline of the city below. It's up to you! The nearest subway station is 33rd Street - keep walking until you get to 5th Avenue. No glass, bottles, or cans are allowed through security. Don't forget your camera - you'll want to take some of the best photographs ever!